Kantun Chi is a remarkable ecopark located in the heart of the Mayan Riviera. Its name means yellow stone mouth in Mayan. The cenotes at Kantun Chi provided water to the ancient Mayans and local wildlife. 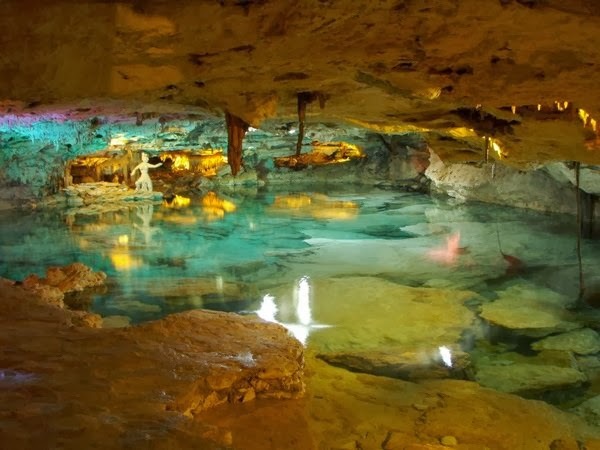 The Mayans believed that cenotes could purify their souls. Before entering one to drink or bathe, the Mayans would perform a ceremony to ask permission of mythical creatures like the God Chaac, who was believed to be the rain and water god, and the aluxes. The aluxes were human-like beings that inhabited the forests and hid from view. At night, while everyone slept, they emerged to walk through the forests. The Mayans believed that if they were treated well, the aluxes would take care of the plants of the forest’s plants, ward off plagues, protect the animals, and keep away negative energies.